Contact us either by phone or email to discuss your custom designed frame. The photo image for this frame must fit into a 12 X 16 window. 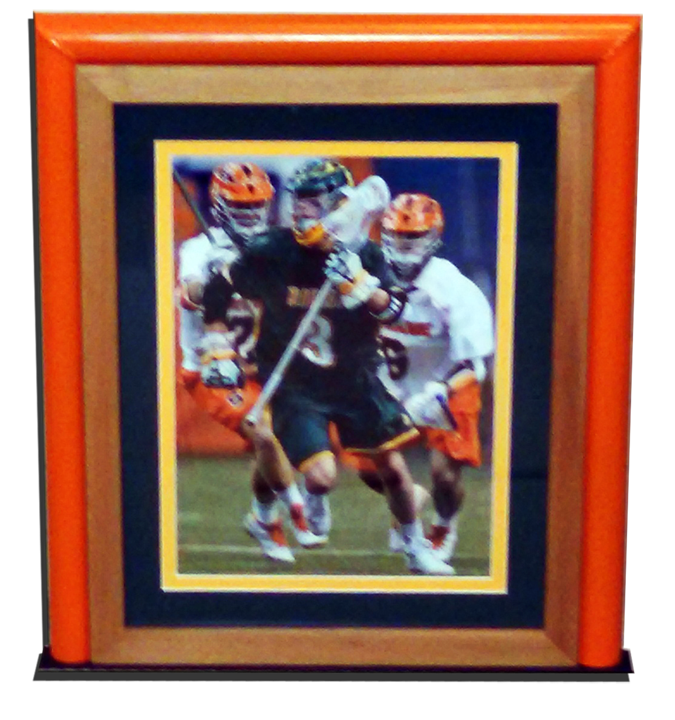 You will pick your hardwood frame and your team colors from the Crescent Select Sports Matting Series. We will use conservation framing, acid free mat board and UV conservation clear glass, which will maintain the photo for years to come. The outer frame has mitered corners and is constructed of 16 gauge steel, with a 2" steel plate base. Jerseys are also able to be framed in the same fashion photos are able to be done. Preserve time for years of memories and reflection on your past sport career. 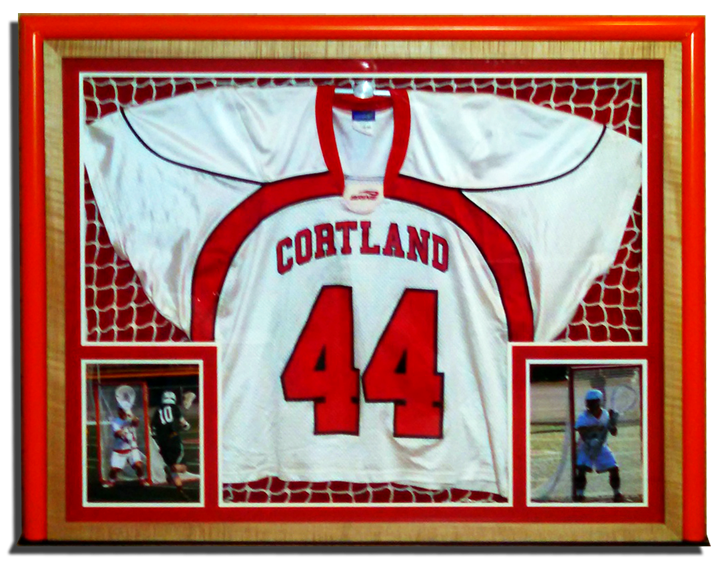 As shown images are framed in the matting in addition to the jersey and lacrosse netting background. Select the best color match of your jersey to that of a major college or professional team color from the Mat Sample link to the left. Click on any of the images above for a larger image. 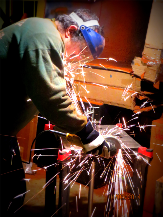 All frames are handmade. There are four different hardwoods you have to choose from, and you have a selection of sixty-six different mat board colors, grouped together by professional and major college team colors. Each frame is double matted, unless other arrangements are made. All frames are sanded with 100, 150 and 220 grit sandpaper. They are then treated with oil and finished in wax, then buffed. Click on the image to view the selected hardwoods available. The availability of these hardwoods may be limited. For more images on the creation process click on the images menu at the top of the website. Thank you for visiting our website and please feel free to contact us if you have any questions on these Sports Photo Frames.